We have a new line up! Check out our new fall releases which include our 2017 Roussanne, 2016 Rincon Del Diablo, 2016 Reserve Syrah and 2016 Cat Canyon Syrah. 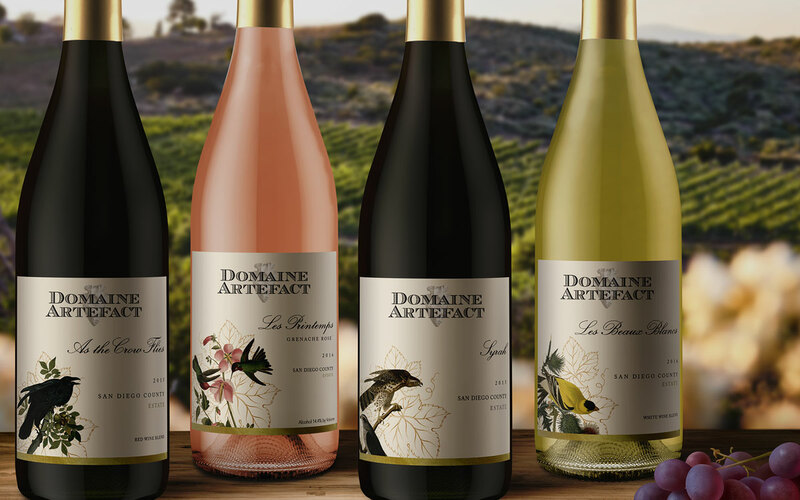 Browse our current releases of the finest wines from Domaine Artefact Winery. Buy wines in our online store! Our community of members enjoys a personal relationship with the winery and receive discounts on our wines. We are raising our glass to tasty wines and perfect pairings. We welcome you and your friends for visits. We are open Fridays, Saturdays and Sundays from 12 to 5. Toujours du temps pour le vin! 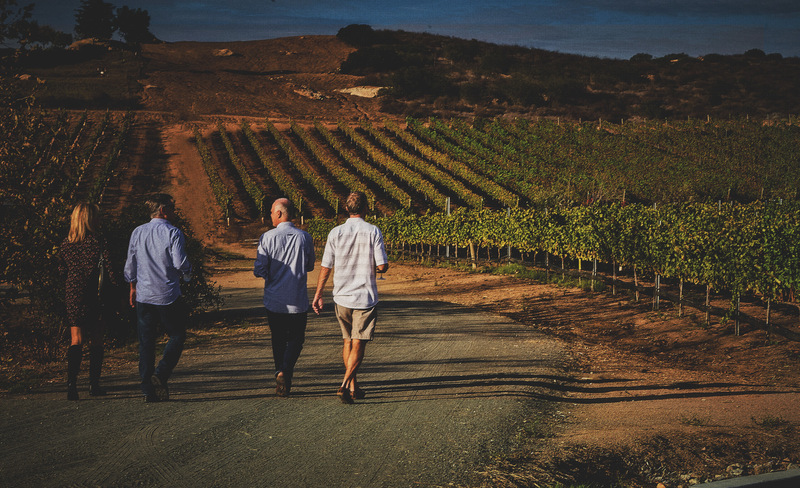 Our passions for wine, viticulture, and traveling have long been cherished pastimes shared with friends and family. The development of Domaine Artefact provides an opportunity to channel these passions into the creation of wine and sustainable viticulture to produce premier Rhône-style wines. A visit to Domaine Artefact will provide an opportunity to experience unique varietals and one-of-a-kind blends. 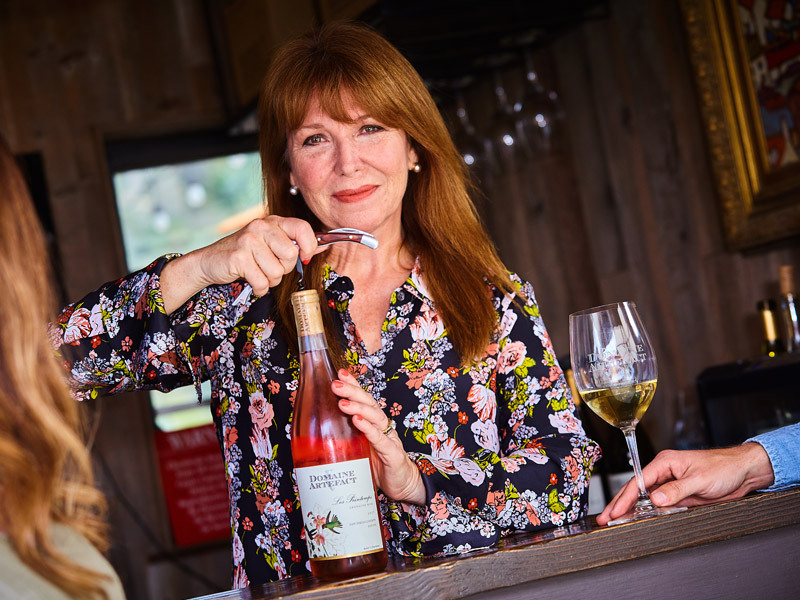 You’ll also be able to meet owners, Lynn and Mark, while relaxing in the tasting center, have a picnic or take a stroll through native plants, organic olive orchards, and agriculture. Additionally, you’ll be able to meet our animal family of dogs, horses, pigs, and chickens! Check out this article from SD Voyager. Big news today! We were notified that the four wines we submitted to the San Francisco International Wine Competition won medals- 3 Silvers and a Bronze! Over 4200 entries! 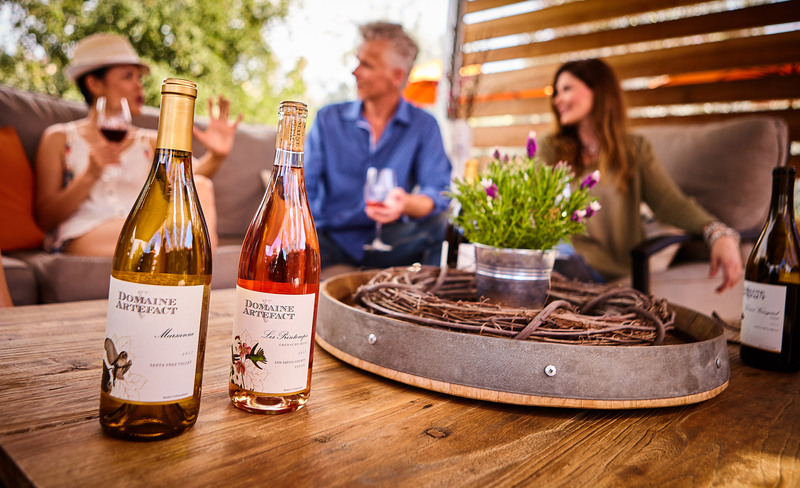 Our 2016 Estate Grenache Rose, 2015 Estate Syrah and Estate 2015 red wine blend “As the Crow Flies” received Silver Medals and our 2016 Estate white wine blend Les Beaux Blancs received a Bronze medal.